Can I just say how much I adore Candace Cameron Bure? I do, a lot. But this book? Not so much. The book felt disjointed and never really made a connection with the reader. 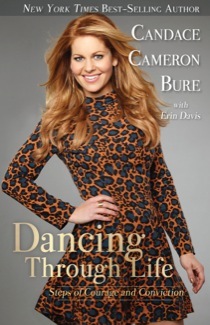 I did enjoy reading some of the backstory about her experiences on Dancing with the Stars. I only caught a few of the episodes from her season. This book gives you backstage access to all the activity and preparation and hard work that actually went on behind scenes. 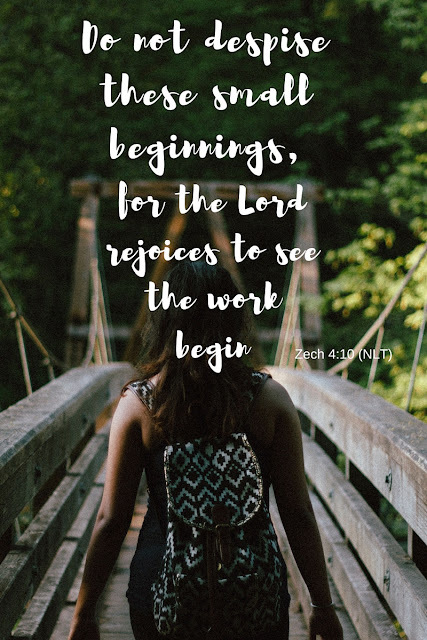 As the book went on it seemed to flow easier, I liked reading about the specific scriptures she used as different difficult situations arose. And it was good to see the experience through her eyes. I think this book struggled in that she tried really hard to make sure the readers knew how much she understands and depends on her Bible more than telling the actual story. For example in chapter 2, she starts out with scripture from Matthew 14:29 about Peter and Jesus walking on water. At first she integrates the story of faith well with her own, but then comes back to the scripture to explain it to the readers. It felt disjointed. She does this several times throughout. Pulls scripture and goes on and on for a page or two. It left me scratching my head and wanting to get back to her story. As an actress who is also a christian she is under tremendous pressure. I can't imagine how hard it is in that "world" to hold to your Godly standards while being around such temptations. She is inspiring to me on many levels. I may not have enjoyed this book as much as I wanted to, but I have an all new respect for Candace and her life. I also feel sorry for because she endures so much criticism and not so much from non believers as it's BELIEVERS. Just check out her FB page to see what I mean. *I received a copy of this book in exchange for my honest review. All opinions are mine. "We're searching for home-a place of acceptance, a place of fulfillment, and a place of identity. At the basest level, we suspect that home is the place where we'll find our fit, where we'll finally be free." Wild in the Hollow is a must read. If you have a past of mistakes, Amber's words will open your eyes to see that broken can be made beautiful. She has such a beautiful poetic style to her, similar to Ann Voskamp but easier to read, in my opinion. I inhaled this book as soon as I started on page one. I may have gotten slightly (ok greatly) irritated every time I had to put it down. 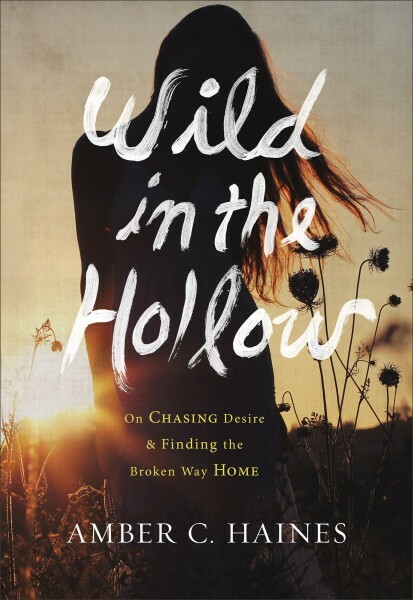 I have a feeling Wild in the Hollow is going to touch a nerve with a large audience of people. I was first introduced to Amber's words through (in)courage, a website with many talented writers. But Amber's style really resonated with me and it wasn't long before I was subscribing to her blog. She has a particular way of catching details and describing them just how you are thinking them in your head. I didn't know much of her back story until I read Wild in the Hollow, and maybe now that I think about it, there was more than one reason I was attracted to her words. Along with a certain deepness to her writing she openly writes her working-out between faith and life. I like people who acknowledge they don't have it all together and admit the struggle between faith, life, and church. The details of our stories may not be the same but we spent a great amount of our lives looking for something...God, and didn't realize it. Growing up I always believed in Jesus. Always attended church with my family on Sunday mornings. Read my Bible some, but wasn't sure how it could be applied to my life (don't ever give your child a KJV Bible if you expect them to read and understand a word in it!). Searching for my own love and acceptance in the world I dated a boy who knew hate better than love. I was a teenage girl who wanted to live out the words of those hokey country songs you hear on the radio about being young, wild, and free. By the time I was 21, I was pregnant (out-of-wedlock) with my on-again-off-again second boyfriend. Yup...wild and free wasn't all it was cracked up to be. Do you love me now, church? Do you accept me? "I made a mistake when I came into church. I walked in newly transformed, with a diamond on my finger, and I asked them, "Will you love me now?" If I change the way I dress, calm down some, use your language, and learn to defend the faith well, if I accept the parades of the church and all the fancy fireworks, will you love me then?" "...The church was so tidy and clean, so aware of how it looked, that I kept my focus on what to wear and how to sound when I sang...The way I understood it, no one suffered in this church, except maybe from physical sickness. No one talked about brokenness or the poor unless it was to mention how someone else wasn't doing well: so sad." What has hurt me the most in my spiritual walk are churches where brokenness was looked upon as spiritual weakness. We are all broken and have pasts, though the details differ we all fall short. Amber's words challenged me to be more settled into who I am and to be proud of where I've been and who I've become. I may stumble my way to Heaven's gate, messing up and getting it all wrong along the way but I'll get there. Our put-togetherness may impress people, but our brokenness will connect with them. Amber's story reminds us in our deepest darkest pains there is redemption and hope because of our God. I received a copy of Amber's book in exchange for my honest review. Guess what?! 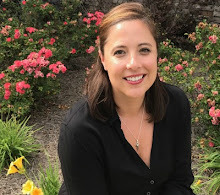 You can win a copy of Amber's book! Leave me a comment and I'll use random. org to choose a winner. Winner announced on Monday 8/17. Amber Haines is a woman haunted by God. Like Eve in the Garden, she craved the fruit that she thought would lead her to freedom. But the whispers of temptation led her instead down a devastating path toward isolation, dissatisfaction, and life-altering choices. 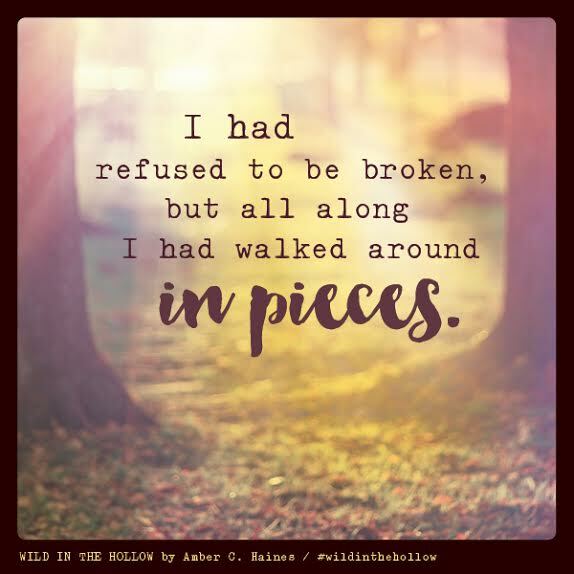 In her most broken moment, Amber met God waiting for her in the fallout, freely offering her grace and life. Summer is coming to an end, and so does my annual summer hiatus. I've read many good books in the last couple of months. I'm not sure I have read this many in several years. I think I am officially out of my reading slump! Do you like a good fiction book? I do too. I love getting lost in a story, especially romance with christian overtures. 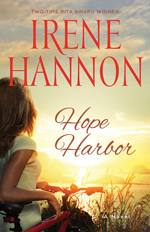 I chose to review Hope Harbor by Irene Hannon because lately I've been reading a lot of nonfiction and miss my first love of reading, fiction. Plus I spent a week at the beach on our annual family trip and wanted something a little different to read. I wanted a story I could get lost in. And that is what I found in Hope Harbor. Great beach read! The story takes place in the small coastal town of Hope Harbor, Oregon. Immediately you are drawn into the story of Tracy Campbell and Michael Hunter and want to know more. The characters are relatable, mysterious, and interesting because they have both been through life trials that threatens their future happiness. They deal with past regrets and shame which as a reader makes for an interesting read. Michael and Tracy try to figure out how to move forward while not being consumed with the past. 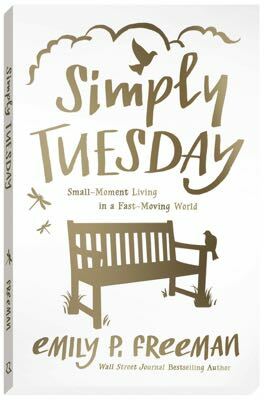 In a lovely story that keeps a steady pace, Irene Hannon does a good job of moving the characters along so that you do not get bored. Michael arrives in the city of Hope Harbor after a tumultuous year of loss and regret. He comes seeking refuge or answers...he's not sure. All he knows is he needed a time out from his life. However when he arrives everything starts to go wrong and he's not sure if he's made a mistake. Tracy calls Hope Harbor home. She works alongside her uncle at the local cranberry farm-which is struggling to stay afloat. Working the land and living in Hope Harbor is all she has ever wanted, but she is running from a past that has left her grief-stricken and haunted with guilt. There are a few other characters such as Charley, the local food truck owner who always seems to a strange sense for reading people and giving timely, wise advice. Anna, the town recluse who refuses to let anyone in after her son abruptly leaves after an argument one day. Tracy's uncle, Uncle Bud, who raised Tracy after her parents were killed and loves her as his own. The supporting characters really round out the book and give us additional relational life lessons. Will Michael find what he is looking for? Will Tracy forgive and allow herself to move forward? You'll have to read the book to find out! Hope Harbor is a powerful story of the healing powers of forgiveness and love.I really enjoyed the story line and it lent itself to be a good reminder to me on letting go of the past and forgiveness. I think you'll enjoy it too!